Last week Flybe put itself up for sale. The carrier has suffered from the day of the EU referendum and the plunge in the pound. While Flybe earns revenue mainly in sterling, its costs are in dollars and euros. FlyVee? That is one possible name for Flybe if the airline ends up being taken over by Virgin Atlantic. But I think a more likely prospect is that it will end up as Virgin European – ironically, around the time that the UK is due to distance itself from the EU. I like Flybe: the network, the staff and the fares. But the prices I pay are evidently not enough to sustain the troubled Exeter-based airline. Brexit has already damaged it, through the weaker pound. At this stage all that the airline founded by Sir Richard Branson will say is that it is “reviewing its options in respect of Flybe, which range from enhanced commercial arrangements to a possible offer”. I wasn’t the only one taken by surprise at Virgin Atlantic’s interest. Consolidation – takeovers and mergers – is an accelerating trend in aviation. But normally there are lots of synergies: opportunities to take out costs (sadly by cutting jobs) and to benefit from economies of scale. That is not the case with Virgin Atlantic and Flybe. Virgin is long-haul-only, with wide-bodied Airbus and Boeing jets, while Flybe operates small Bombardier and Embraer aircraft. Even if there were plans to combine the two airlines HQs, there is no obvious solution for where that should be. Virgin Atlantic is based just south of Gatwick airport, where Flybe (after selling its slots to easyJet) has no presence apart from a single route to Newquay, which itself will end in March 2019. Flybe is based in Exeter, where it is an important local employer, and any move of the HQ would have a significant effect on the region. Perhaps the two airlines will stay where they are but coordinate schedules. Flybe already feeds Virgin Atlantic flights at Gatwick, Heathrow, Manchester and Glasgow, and delivers passengers to Air France-KLM (which is aiming to take 31 per cent of Virgin) on a range of routes to Paris and Amsterdam. In the event of a takeover, the Flybe network could be tuned to provide maximum connectivity with Virgin services, particularly at Manchester – which, unlike Heathrow and Gatwick, has plenty of scope for expansion. Yet a cynic (of whom there are plenty in aviation) would say that the most attractive thing about Flybe is its cannily acquired collection of slots. When British Airways took over BMI in 2012, the European Union stipulated that BA must surrender some slots at Heathrow for specific purposes to maintain competition. They could be used for routes to Moscow, Cairo, Nice and Riyadh, or domestic links to Aberdeen and Edinburgh. 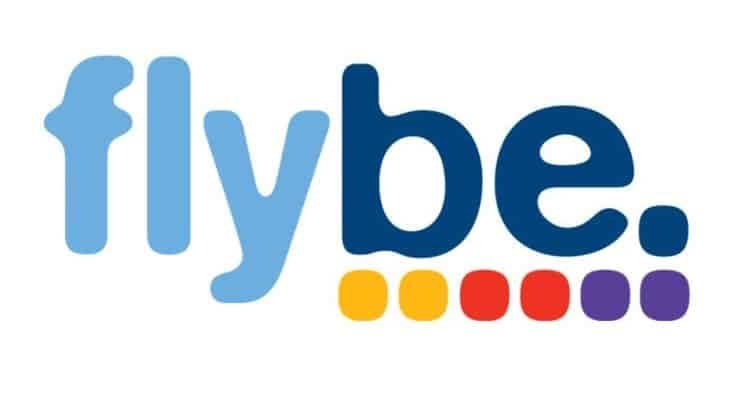 Flybe is using these “remedy slots” between Heathrow and Scotland, and has also procured some dormant rights for its new four-times-daily link from Newquay to Britain’s busiest airport. In time – three or four years – those slots will become more flexible, which means more valuable. I calculate the portfolio as comprising 13 pairs of Heathrow slots a day, which is worth well north of £100m even with a third runway in prospect. An alternative thesis is that Sir Richard sees a future for an airline that helps feed his long-haul aircraft and delivers value for Virgin Atlantic’s partners. We shall see in time which proves to be correct. Meanwhile, Flybe is a going concern, and I shall continue going on Flybe.